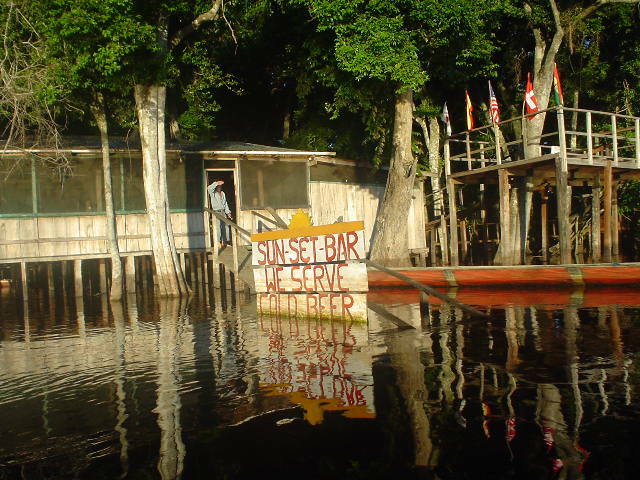 Ok, what are you supposed to say about Rurrenabaque, Bolivia? 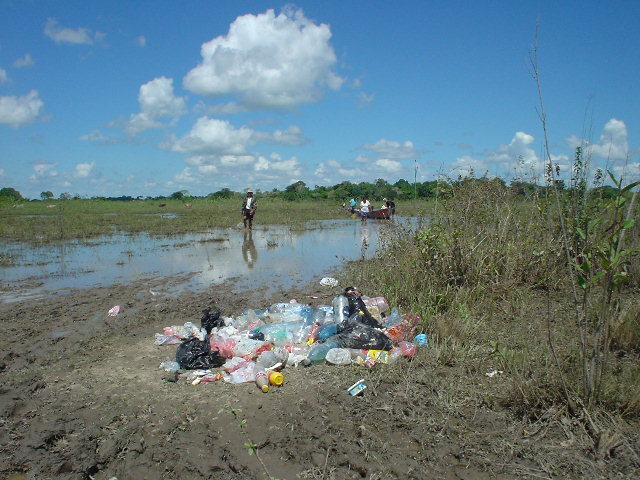 This is a a jungle trip, called a Pampas trip, but really it is a boat trip down some river, I am not sure the name of the river, maybe the Beni, my encyclopedia does not talk about this place. The tour guides are not informative, and do not speak English, my Spanish is great, but I am still not very sure of anything after two nights, and three day of sitting on a boat, and a 3-4 hour truck ride to get far enough away to say we went on a tour. I saw a lot of cows so this is good for the people, they have a lot to eat. 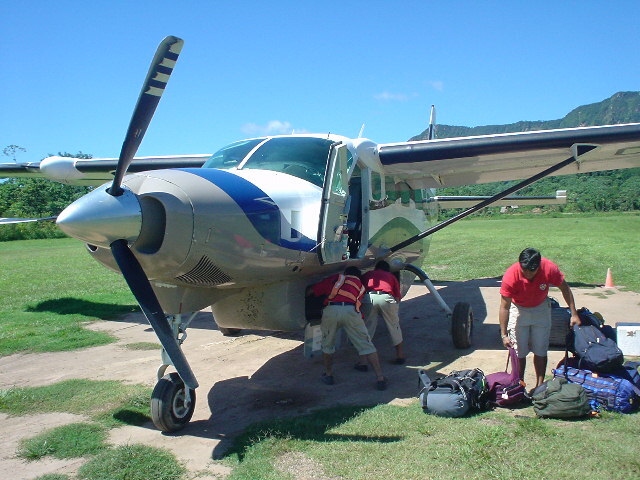 The best part of the trip for me was the plane ride to Rurrenabaque, I suppose it was also fun to watch the smart Israeli guy working the Australian girl out of her clothes, as she was naïve in an American like fashion. I am sure he got shagged last night, obviously the English - Australian girl culture is closer than I thought, as they she could have been English. 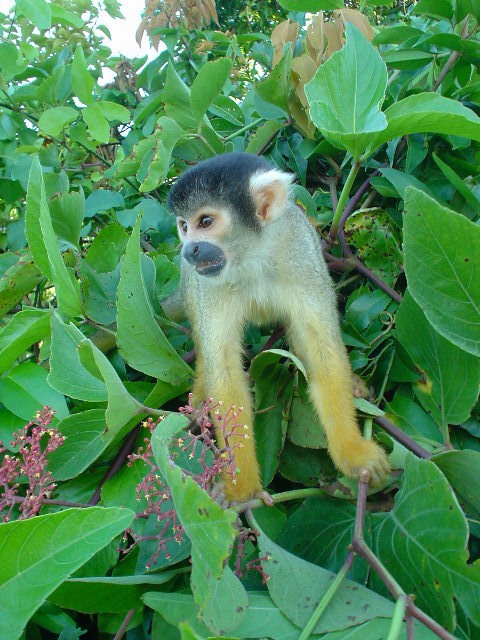 We saw a few monkeys that came to feed, a pet alligator by the name of Alfonoso, a few birds sitting on branches. We stopped and baked in the sun while people threw strings out to Piranha. The fun was landing in the plane on the grass runway, small plane and this type of runway does make you think about is safety before the landing. I hope I missed something, I hope I am at here at the wrong tour, at the wrong time of the year, or something, because if this is all it, then there is something missing. I am sure a lot of the travelers like the place because there is a couple of wanna be British pubs here complete with pool tables and fat girls, happy hour and such, so that give the tourist a thrill, I am for sure lost for words. I just hate that the world seems to equate good tour with getting drunk in tourist bars, they should stay home. The was blaming the tour guide, but there were four trucks unloading in the same place, there were always a steady line of boats on the same river as us, I cannot believe that they could have had a different trip. My gut feeling is this place is burnt, and done, nothing left to see, the tour guides have grabbed one to many alligators, a few too many times. These boys would not give us our bags, I was laughing when he finally loaded them on the five Boliviano taxi I knew he would not give us our bags because then other Taxis would have a chance, so keeping the bags guaranteed they received the taxi fare, typical Latino tactics. I did like to see the monkey that seen us coming and came down to the river to feed. Maybe 20 to 30 monkeys came down to the river to have us feed them. Pile of trash along the way or where the boat loaded and unloaded, this was the common area for all the tour groups, I suppose the water will rise and wash it away. There were two bars along the river; we stopped on the way down the river and on the way back. 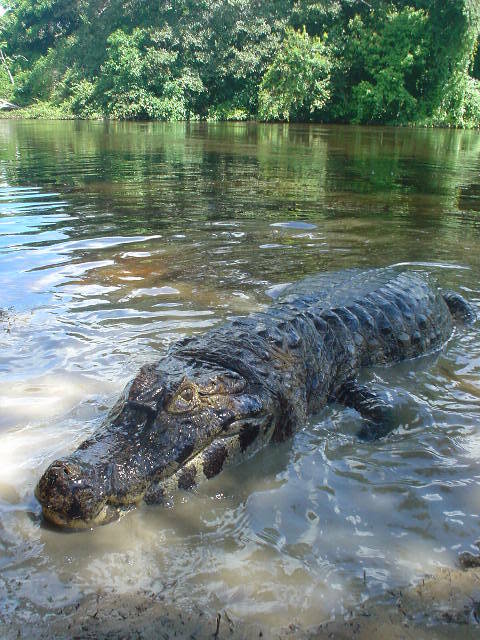 This is Alfonso, the pet alligator at the camp. Peter was nice to see, still hates his mom, and still is talking about driving a limo, he got some story published in some Sydney Australia newspapers, or he induced somebody hanging around in the Lonely Planet thorn tree to write about his Iraq trip. This is the second article I think, as maybe the person in from the Globe wrote about his trip also. At least his shoes did not stink as bad as the last time I saw him. I was surprised he really has learned some Spanish along the way, so this is good. He says Syria is his favorite country. I suppose the best way to choose a trip is to make sure there are some good people on the boat, because without some conversation you could be lost. The cook did not show up for us, so we had to walk to the other camp all the time to eat. I sometimes am amazed how hard it is to be positive about these Hippy Dippy places, nonetheless it was interesting in a very stupid way, but I believe sometime the more stupid, the more interesting. I would love to have a guide though one day that knew everything about anything and everything. If you really lucky on any tour there is a person that knows an extreme amount about the area that is on the tour with you, then you can really have an educational tour. I would say the name of the tour company, however I truthfully believe they are all the same.